Getting to Chiang Mai by air is simple and convenient. Direct flights leave from major Thai cities, among which are Bangkok, Pattaya and Phuket, Tickets can be bought for little more than 800 THB on the low cost Asian airline’s website AirAsia, or through the website for NokAir. Chiang Mai’s importance is also seen in the international airline routes that fly into the city’s airport; such as flights from Australia, Cambodia, China, Hong Kong, India, Iran, Japan, or New Zealand. There are not however direct flights from Europe to northern Thailand. The only option for European tourists is to land in Bangkok and then from Don Muang airport (located in the north of the city), take another flight to the north of the country with airlines like AirAsia or NokAir. If instead you’d prefer to travel with a national carrier like Bangkok Airways, from Suvarnabhumi airport, prices are about 4,000 THB for a round trip ticket Bangkok – Chiang Mai. There’s a free bus that connects the city’s two airports. The stop is on the second floor, door 3, from Suvarnabhumi Airport. The bus number is A1; runs begin at 5 in the morning and finish at midnight. From Don Muang the bus leaves from the first floor and arrive on the fourth floor, door 5, at Suvarnabhumi Airport. The travel time is about an hour and a half depending on traffic). If instead you’re not in a rush, you can take the train that connects Suvarnabhumi Airport to the city center, which leaves right from the airport and goes to the last stop called Phaya Thai. Tickets cost 45 THB a person and the travel time is 28 minutes. From this stop you can take the BTS (click here to read our article on how to get around Bangkok) which from Phaya Thai will bring you to Morchit station. Once you get off at Morchit, you can take bus number 29, which for 21 THB brings you to the bus station in front of Don Muang Airport. The quickest but most expensive option is to take a taxi which will take you from one airport to the other. In this case the price could be around 1,500 – 2,000 THB for the car. Once you land you’ll find lots of taxis that will offer you prices starting at 200 THB. Chiang Mai’s airport is located just 2 kilometers from the city center, so for this reason I recommend that you negotiate the price, or, for the more daring, you can reach your hotel on foot. With prices between 534 and 623 THB, depending on the company you choose, you can take a bus from the north station of Bangkok (Morchit), and get to Chiang Mai. It takes 11 hours and tickets are also available online, or via the websites of transportation companies such as Bangkok Busline or Siam First Tour. Take the Sky Train to the stop called Morchit; the last on the Sukhumvit line. Once you get to the station get off to the left, the one next to the enormous Chatuchak park, just to be clear. From there you can take a free shuttle that will take you to the north bus station at Morchit. The less elaborate option is to take a taxi there directly. In that case always ask the driver to start the meter, and for 50 – 70 THB you should be able to get there without a problem. With a ticket costing between 800 and 1,200 THB you can leave from Bangkok’s central station and get to Chiang Mai in 11 – 14 hours. Even though the kilometers dividing Bangkok from the north are relatively few (700), and the train goes relatively slowly (no more than 40 kilometers an hour! ), this trip offers something special in that the landscapes that you will cross are stupendous. You can get tickets on the official site of the Thai railways, at the station in Bangkok, and even on 12go.asia. The costs depend on the type of comfort you’re looking for, and the length of the trip. Tickets in second class with air conditioning cost 891 THB a person, if instead you want to travel on a night train and use the bunk service in second class with air conditioning, the cost per person goes up to 1,131 THB. To get to the train station in Bangkok (Hua Lamphong), you have to take the metro (the so-called MRT), and get off at the end of the line, called “Hua Lamphong”. The ticket price is low, and is generally lower than tickets on the Sky Train (which doesn’t have a direct line to the train station!). Called the “Sacred City”, Chiang Mai hosts a good three hundred Buddhist temples, many of which reside within its famous walls. To mention them all is a difficult task, what is important though, both on a spiritual and touristic level, is Wat Phra Tat, located on Mount Doi Suthep which is part of Doi Suthep Pui National Park, about 16 kilometers west of Chiang Mai. To get to the temple you can take a taxi from the middle of town, for about 1,000 THB, which will bring you to the parking yard at the entrance of the temple, and will wait until you want to return to the city center. Once you get to the parking lot you have two otptions: go up 309 steps on foot, or take a funicular for 40 THB a person (round trip). The temple that’s the symbol of the historic center is Wat Chedi Luang. This imposing monument, which up until 2015 was free, today has an entrance fee of 50 THB for all foreign tourists, and is still free for Thais. Once you get inside you can admire an ancient stupa going back to the XIII century, decorated with elephant sculptures. Besides visiting the old city (which is great to take in via bicycle) and the various temples, you can also try other activities in the city. This type of activity is booming in Thailand, especially in cities like Bangkok and Chiang Mai. In Bangkok one of the cooking schools I’d recommend for fans of vegetarian food is May Kaidee Cooking School, in Chiang Mai I recommend the following schools: Thai Farm, Zabb E Lee, Asia Scenic. Prices vary according to the type of food you want to cook: there are recipes for raw foods, vegetarian, vegan, fruit decoration, etc. The starting price is always around 1,500 THB a person. 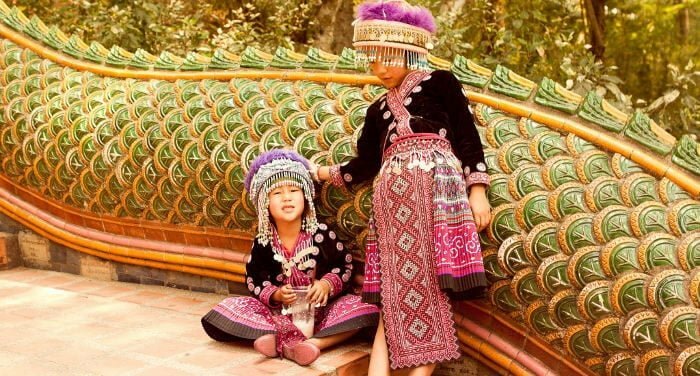 There are lots of excursions and things to do in Chiang Mai. Unfortunately 99% of the tours offered include elephants. The exploitation of animals in Thailand, in particular tigers and elephants, is quite high, especially in tourist areas. Thailand has been highly criticized for the way the animals are treated and the conditions in which they are kept. In 2016, for example, the tiger temple in Kanchanaburi was closed, which attracted thousands of tourists every year eager to feed the tiger cubs and take pictures with the larger ones. After various reports on the conditions in which the animals are kept, the Thai police decided to inspect the place; and what they found inside was to put it lightly, shocking. On April 30, 2016 more than 500 policemen raided the temple and rescued 137 animals. The monks running the place were investigated for the mistreatment of animals and the illegal trafficking of ivory. Despite an awareness campaign, Thailand still continues to use elephants and tigers in their shows and tours, and every so often a tourist is killed by a runaway elephant. So I don’t recommend supporting this type of activity; I recommend instead that you take tours where you can go hiking in nature or rafting on a bamboo raft! The number of tours that Chiang Mai offers is quite varied and there’s something for all types of travelers. You can read our guide on tours in Thailand by clicking here. If you’re looking for an alternative experience to the usual Thai massage centers, in Chiang Mai you can have a typical massage done in the women’s wing of the city jail. The center in question is made up of a massage area, a restaurant, a bar and a handicraft store. All proceeds are used to rehabilitate and reinsert into society the inmates when their sentence is up. Obviously the prisoners used in this program are not considered dangerous or charged with serious crimes; frequently they are people from the very low classes that have been convicted for minor offenses. Chiang Mai’s night market is very famous for its variety of clothing and accessories. Prices are lower than the capital Bangkok, even if the merchants are slowly becoming a bit reluctant (and at times aggressive!) in negotiating prices. The historic center of the city offers a great variety of small local handicraft shops, with jewels, paintings, and handmade dresses. The best time of year to visit Chiang Mai is without a doubt during the Loi Krathong Festival. This year the Loi Krathong will be celebrated from Friday, November 3rd to Sunday, November 5th. This festival is a celebration of thanks to Buddha for having provided the necessary water for a good harvest. Loi Krathong, which means “floating basket”, is celebrated in all of Thailand and also in bordering countries, like Laos for example (I absolutely recommend the one in Luang Prapang), where splendid baskets made with tree trunks, banana leaves, or bread are decorated with paper, candles and incense. In the same time period they also celebrate the Yi Peng Festival, also called the lantern festival. This type of occasion is particular to the north of Thailand, and therefore in cities like Chiang Mai and Chiang Rai. During the evening of the Yi Peng Festival, thousands of lanterns are released into the sky, illuminating the skies above Chiang Mai. The best place to celebrate these two festivals is the Lanna Duthanka religious center, located about 20 minutes from the city center. The celebration place is divided into two: one where only Thais can get in for free, the second instead has an entrance fee and is reserved for tourists. Lanterns to release into the sky can only be acquired inside the temple.